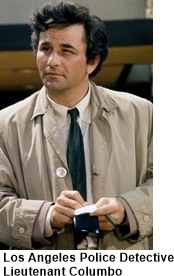 Homicide detective Lieutenant Columbo (Peter Falk) was not your typical hero. He was disheveled, forgetful, absentminded, rambling, pestering to the point of rudeness and inept at his job or so the criminals thought. In reality his eye for detail, relentlessly dedicated approach and investigative genius always caught the bad guy by the end of the show. Speaking of the bad guys the show would reveal ‘who done it’ in the beginning of the show. 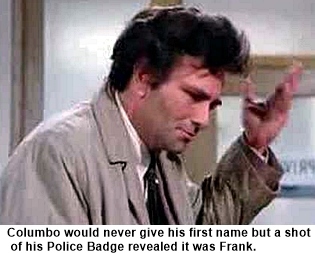 So the plots revolved around how Columbo could gather enough clues and evidence to catch them. His noticeable characteristics were his always rumpled raincoat which he wore constantly, his half smoked cigar which he just chomped on, his seemingly disorganized question asking and his beat up old Peugeot. 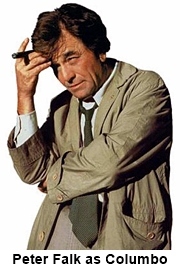 Columbo was originally aired as a NBC – Movie of the Week, due to it’s popularity it then became part of circle of shows. Each of them were 90 minute movies and aired once each month. The other three shows, in the wheel, were McCloud, McMillan & Wife and Hec Ramsey. 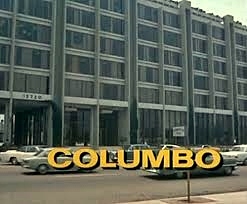 The network would have preferred a weekly schedule for Columbo but Falk felt that rushing the writing and shooting would diminish the series overall. The series aired regularly from 1971–78 on NBC. 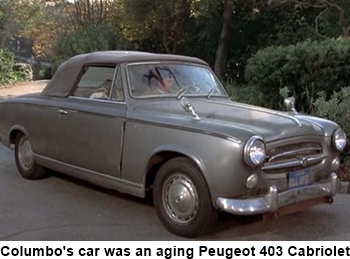 After its cancellation in 1978 by NBC Columbo was revived on ABC between 1989 and 2003 in several new seasons and a few made-for-TV movie “specials”. Keep in mind that this was not your usual TV series, it was practically a full length movie, and received very positive reviews, audience ratings and awards even winning an Emmy it’s first full season. 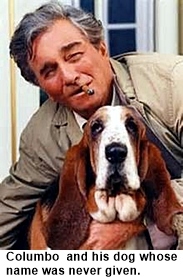 Sadly Peter Falk died in 2007 at 83 after battling Alzheimer’s disease for several years. Peter Falk being a method actor spent some time before the initial shooting of Columbo thinking about how the character would be portrayed. So when rehearsals started he showed up with his own “Columbo” clothes including the rumpled raincoat, wrinkled suit and shoes. This same ensemble was used almost entirely for the duration of the ten seasons.